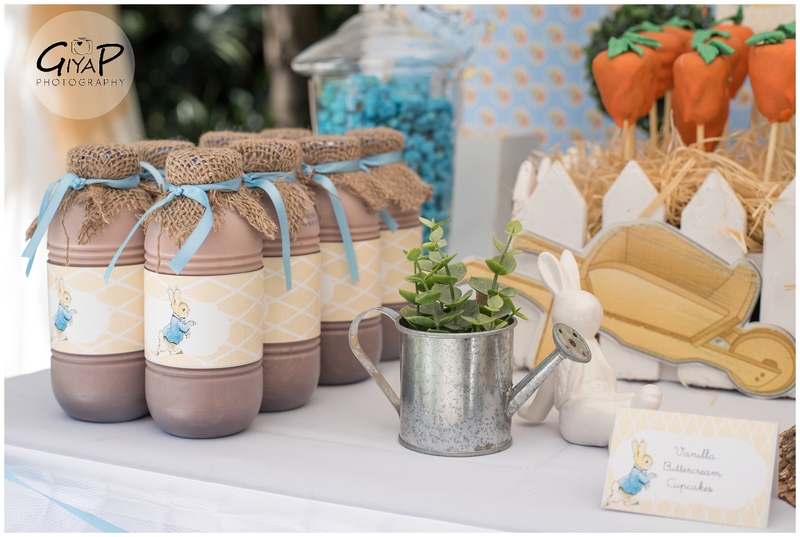 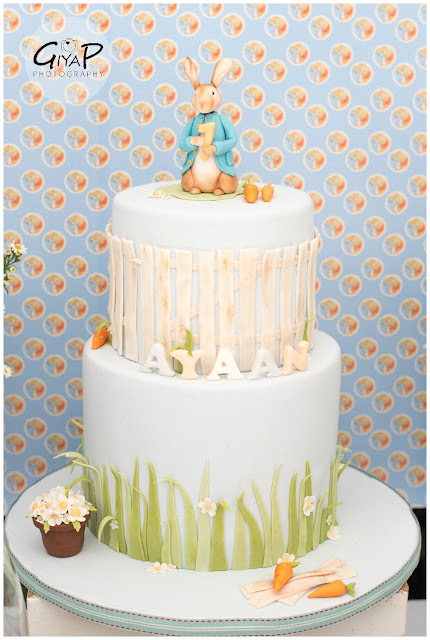 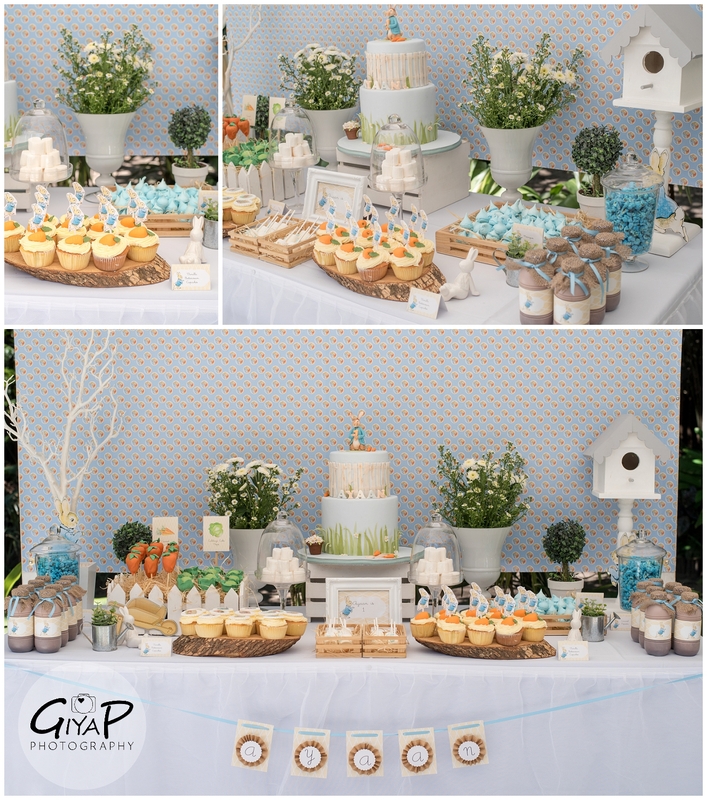 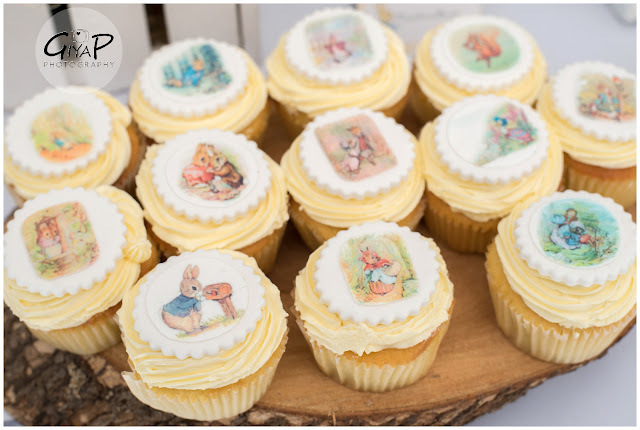 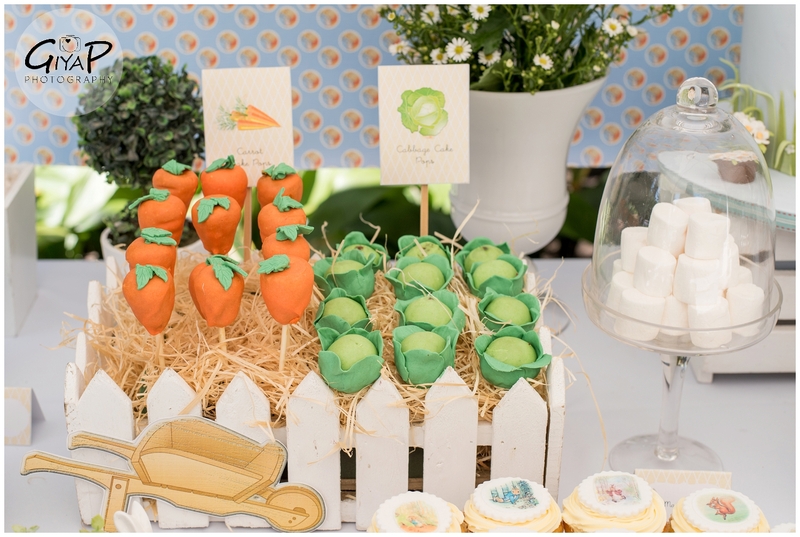 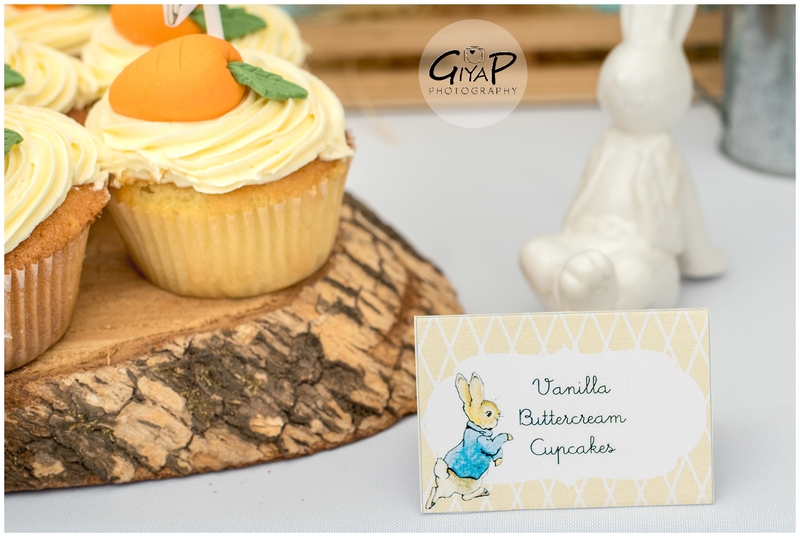 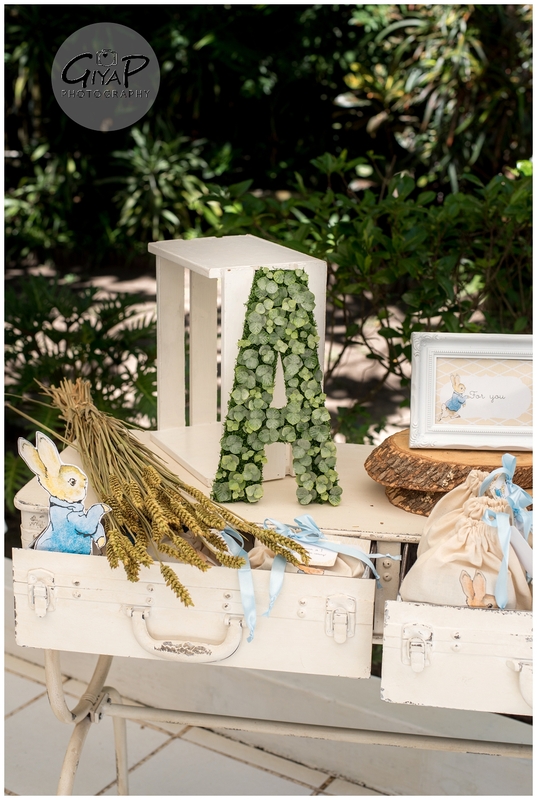 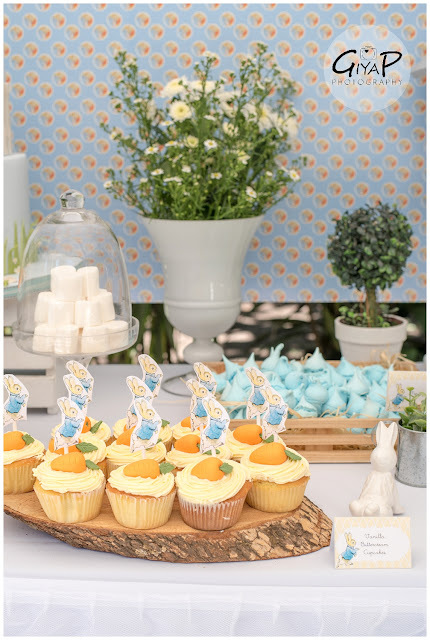 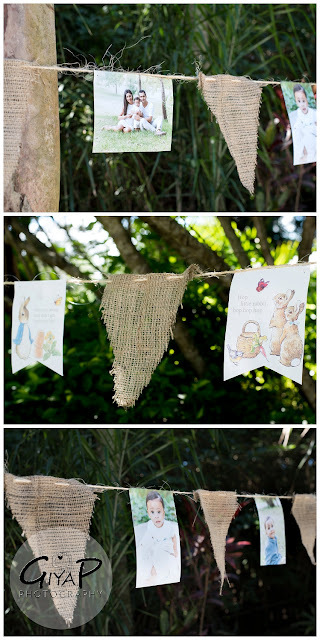 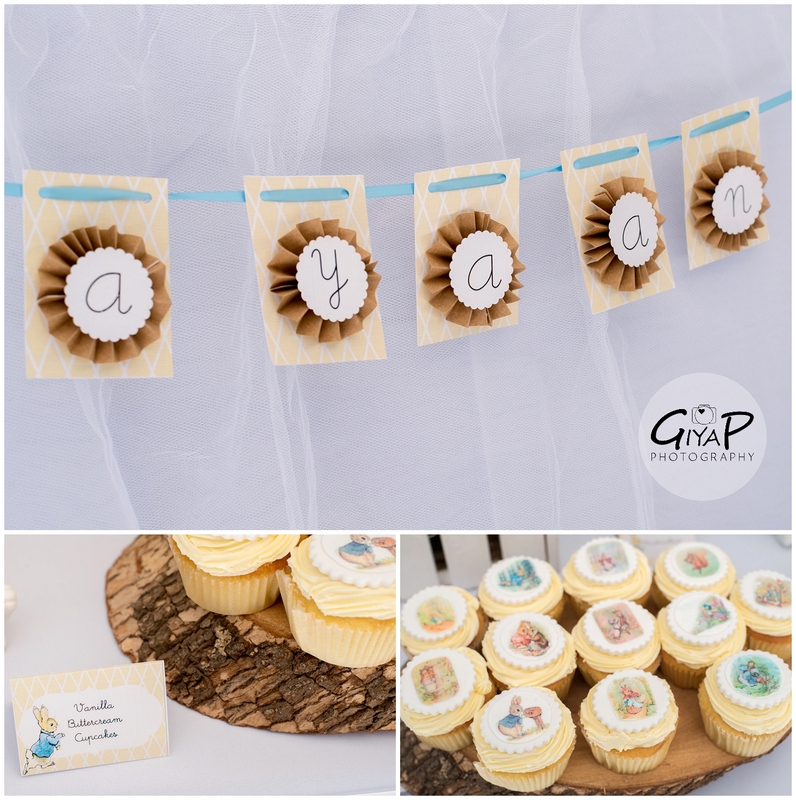 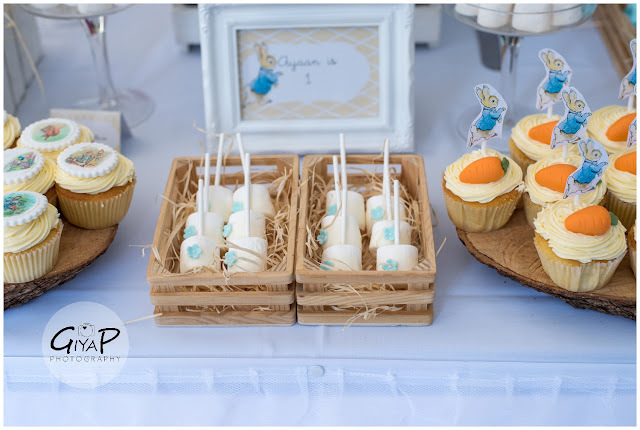 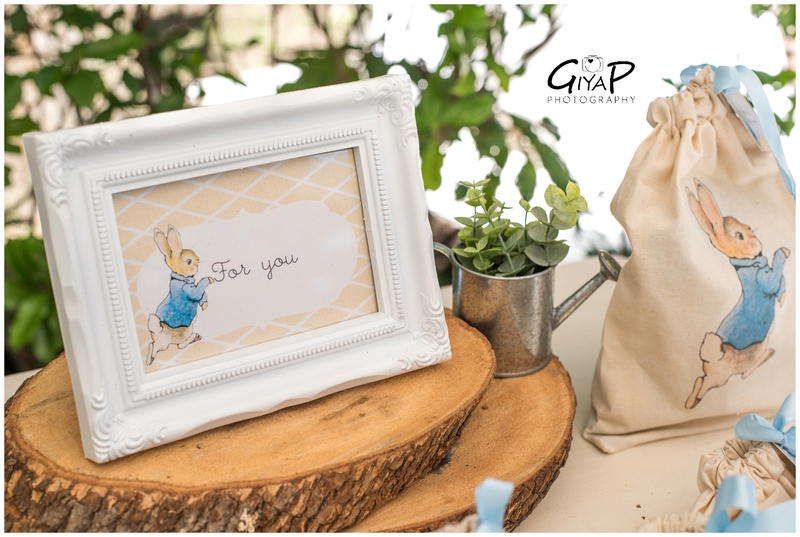 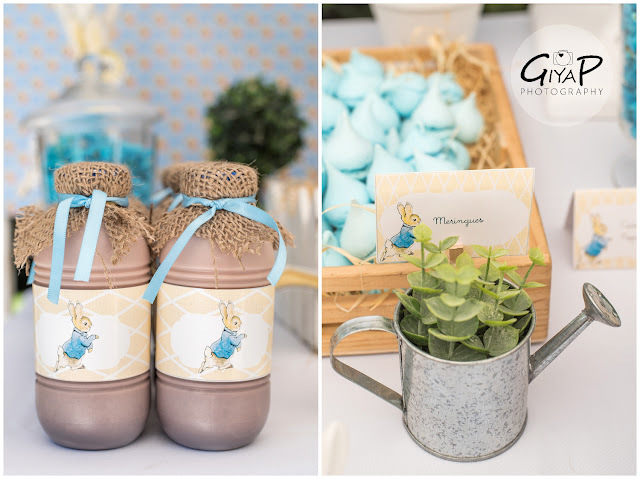 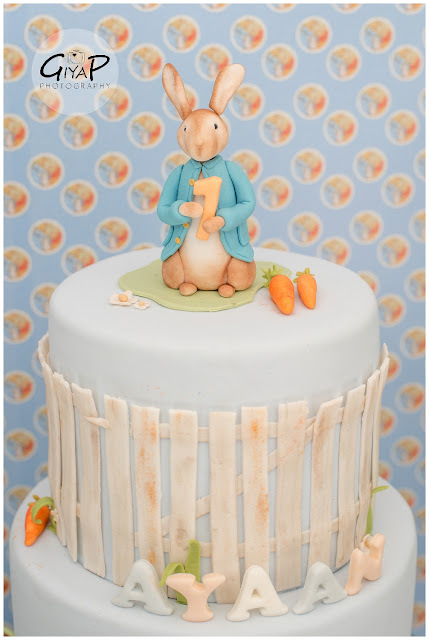 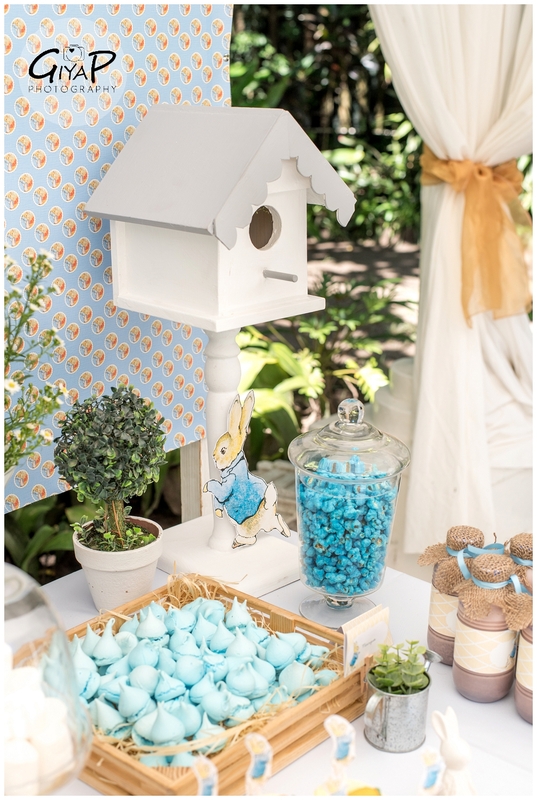 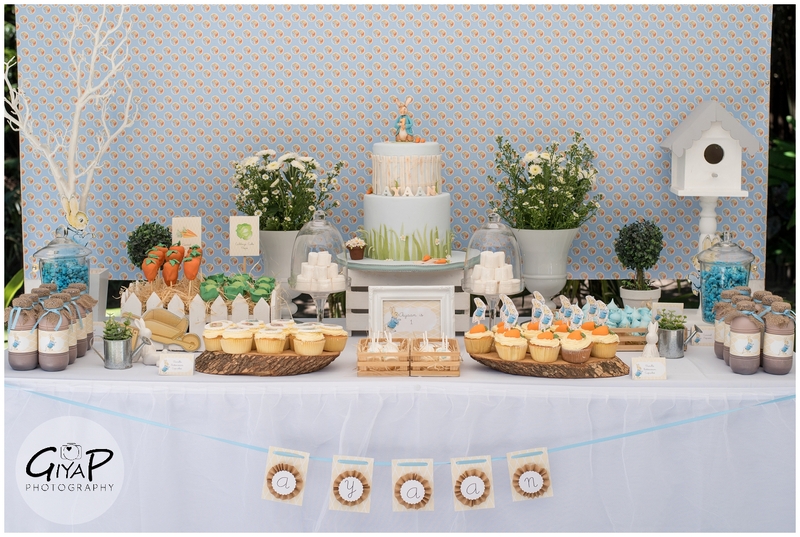 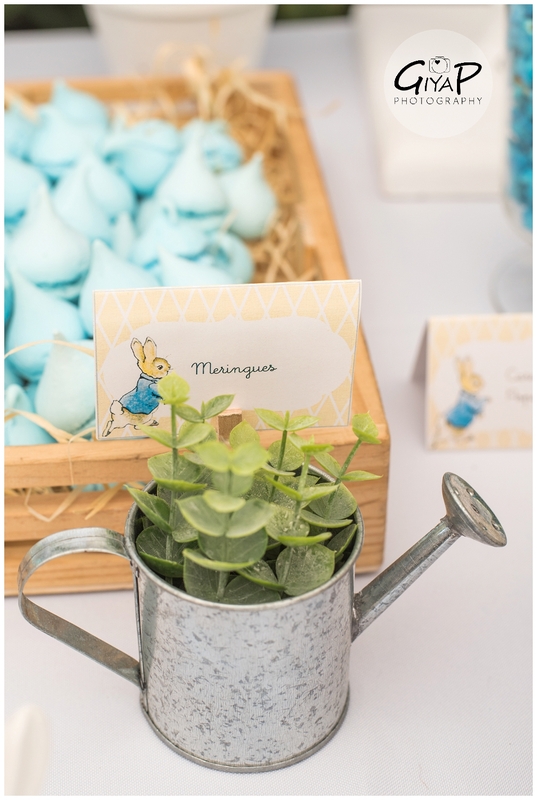 I was over the moon when my client settled on a Peter Rabbit theme for her son's 1st Birthday. 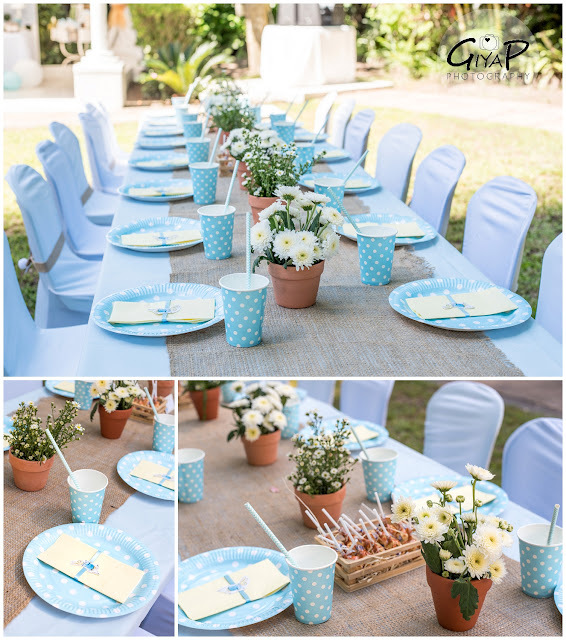 This classic theme is always a dream to work with. We used soft tones, garden elements and crisp clean whites to bring it all together. 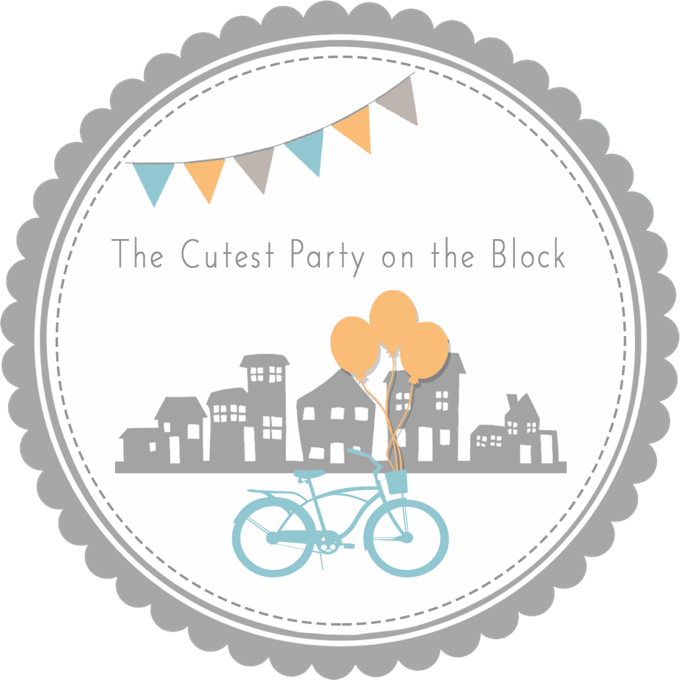 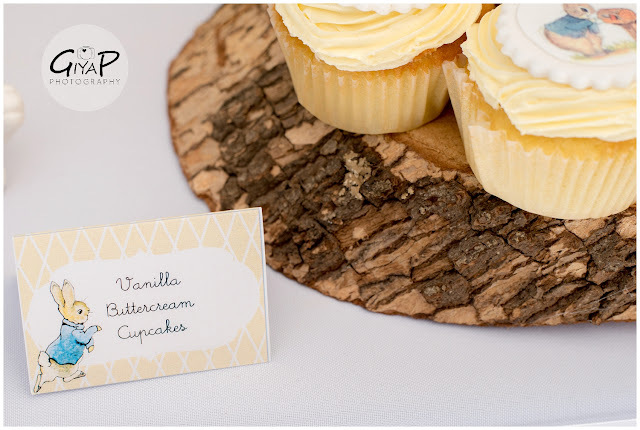 The Braeside Wedding and Functions Venue in Ballito was the absolute perfect venue choice for this party. 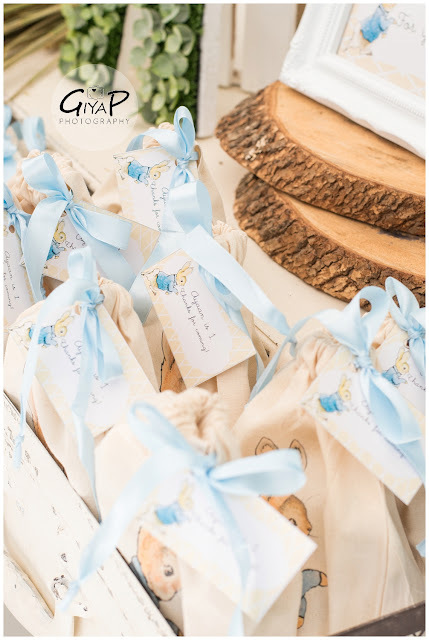 We custom made these canvas favor bags for the party. 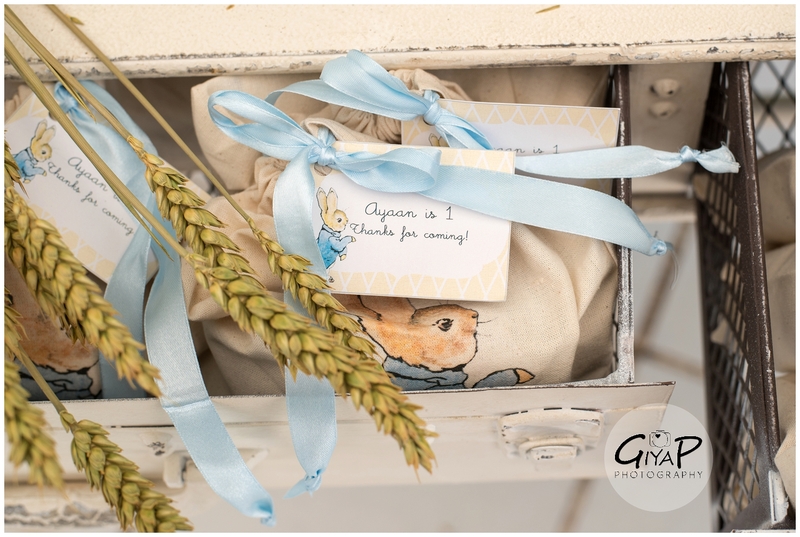 Designed, stitched, screen printed & then finished off with a gift tag & ribbon. 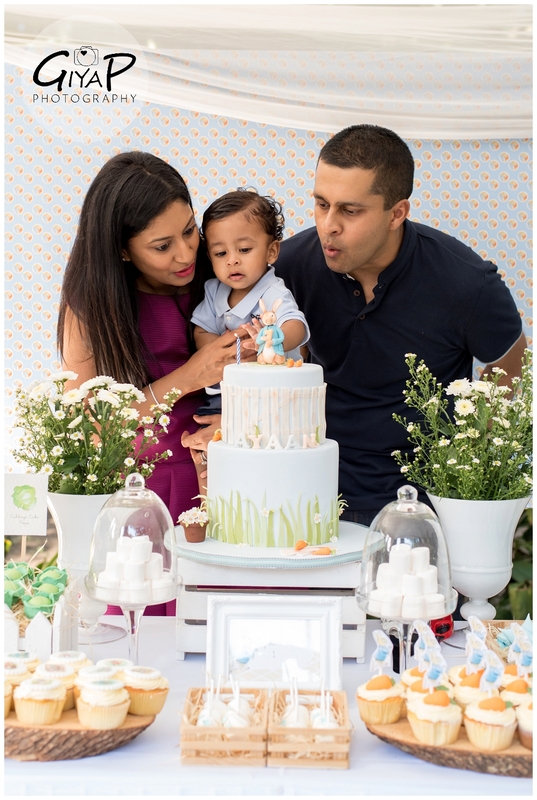 May your days always be filled with as much joy, love & laughter that surrounded you on your 1st birthday.